Sydney Greene has loved Tristan since she was eight years old and for a brief moment in time she thought he might have felt the same but he left her to move on to bigger things in life. While Sydney was left behind with their baby. Tristan Pierce has always considered Sydney hers, coming home and finding out that she had a child with someone else felt like a huge betrayal to him. Tristan and Sydney go through a lot in the book, with the help of flashbacks we see their earlier relationship and moments from their childhood and then in the present where Tristan and Sydney try to avoid each other as much as possible. When they finally start working on the project and old feelings return, everything is made complicated when Sydney reveals a secret. Honestly speaking I loved Sydney, the girl had no one, the people she considered her family Pierce split apart after their mother’s death and Tristan left. She become stronger, tougher and independent woman, very different from the girl who needed someone to love and needed to be loved in return even when it seemed like all she had was little scarps. She was a great mother and a businesswoman. Tristan presence obviously was a huge hurdle because she never really got over him. I really liked Sydney and Tristan together in the first half of the book, I mean sure I still was a bit leery of Tristan’s behaviour but I liked that he was making an effort to finally getting Sydney back. They also had great chemistry which made their interactions more interesting to read. This is a second chance romance book with loads of angst, family, babies, love and trust issues as well. The book did make me feel a lot of emotions and teary eyed. 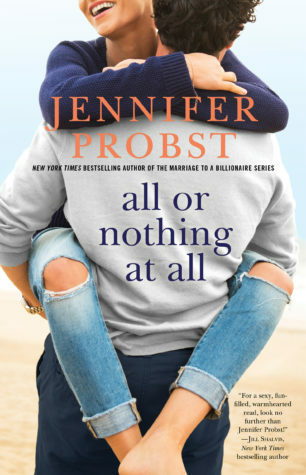 Along with Jennifer Probst’s complex characters, an adorable little girl you couldn’t help but love and a strong heroine, it ended up being a good read overall. 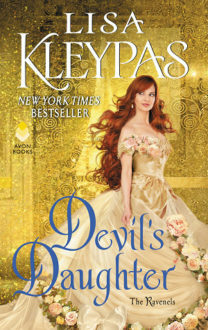 I have been meaning to pick up this author, and you just convinced me that I really need to grab this one up and SOON!! I love a intense emotional romance, it’s always my favorite type.